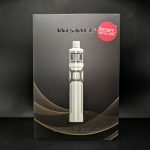 Here’s a look at a new starter kit recently sent over from Wismec. 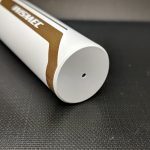 It’s a pen or stick styled kit but with protections built in so even the newest users will be safe using it. 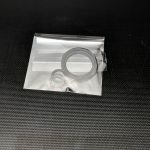 It’s an extremely simple and easy to use kit so this one should be relatively short and sweet. 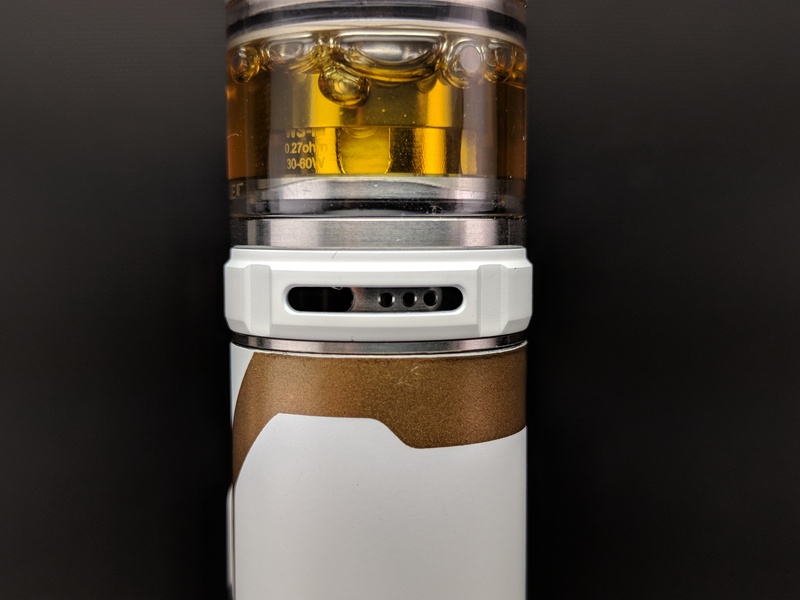 Here are my honest thoughts on the Sinuous Solo from Wismec. 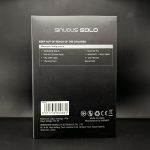 The Sinuous Solo kit comes packed in a dark coloured cardboard box with an image of the kit on the front and a listing of the contents and some basic information on the back. It’s not super flashy but looks nice and does a good job representing the kit it contains. Inside the mod and tank are kept safe in a thick black sponge insert. Underneath is hidden all of the extras including a couple of manuals for the tank and mod, a warning card, a pack of spare orings, a spare coil, a spare glass tank and a micro USB cable. It’s a simple kit but it includes everything you’d need to get started and some nice extras for good measure. 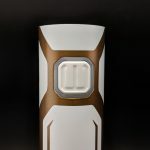 The Sinuous Solo is a stick styled mod that measures 90mm tall and 22mm in diameter. It’s mainly made of metal but they don’t list what material specifically it’s made out of. 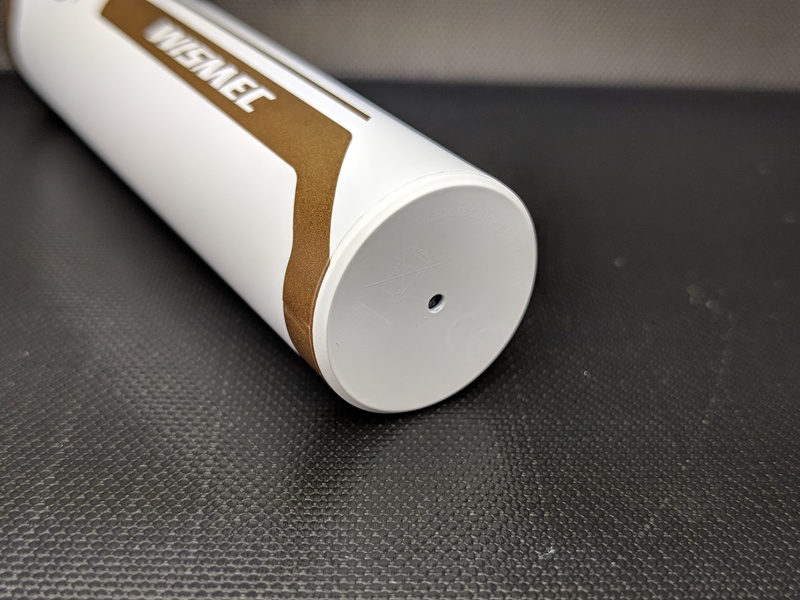 It’s fairly light weight weighing in at 72.5g and easily fits in the pocket or hand so it’s probably made of a light weight alloy or a thin steel. 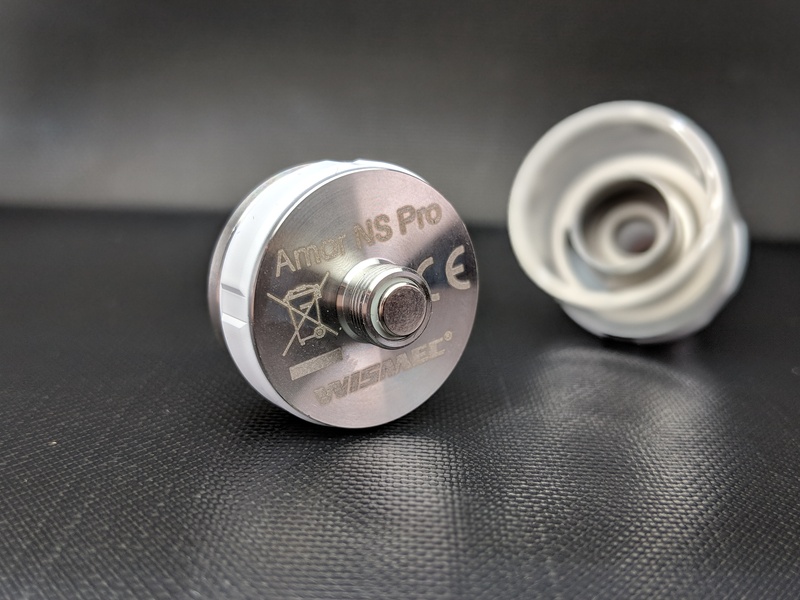 At the top of the device it’s got a stainless steel threaded 510 connection with a nice squared off gold plated spring loaded 510 center pin. Admittedly I only really tested the included tank with it but it should also accommodate all of your regular 22mm gear with ease. The threads on the 510 are nice and smooth too so no issues there. Down the face of the mod is a ‘W’ emblazoned fire button that’s made of plastic. It’s ringed with a translucent plastic that lights up to indicate remaining battery life, when it’s firing and when there’s an error. It’s nice and clicky without any button rattle and is easy to find with your finger or thumb. Just to the left of the fire button is the micro USB port for charging the device. 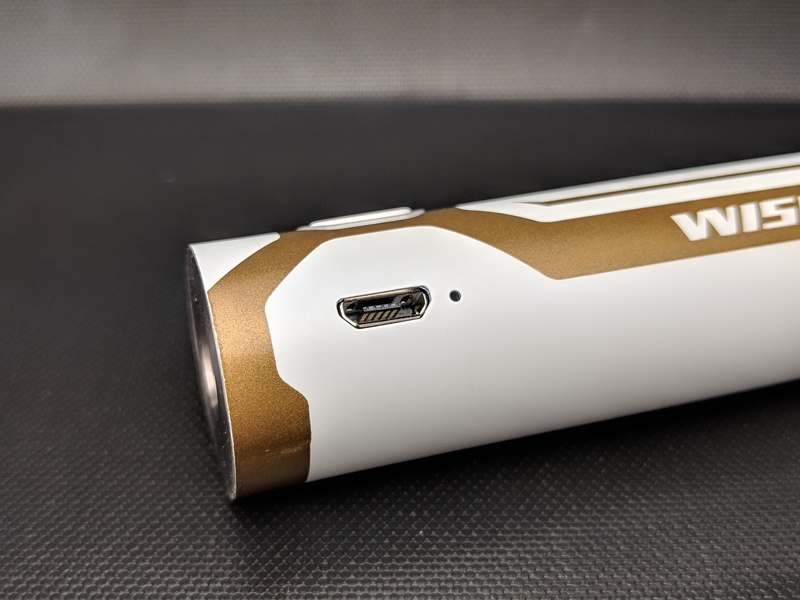 It’s got an internal 2300mAh battery that charges at a whopping 2A so topping up doesn’t take long at all. 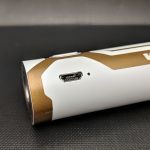 A small hole on the bottom ensures there is venting should anything go wrong with the battery but since it has the usual built-in protections like over-charge, over-discharge, 10s cutoff, short-circuit and over-current it should hopefully never come to that. It’s available in a variety of colours including black, silver, red, white and dazzling. I got the white and gold version which appears to be mainly white with some gold detailing painted on. On the other colour variations it looks like the detailing is actually engraved or cut in to the metal in one of two styles but the white and gold one is smooth without any embossed details. All in all it looks like there are about three variations of the device but as far as I can tell the changes only affect the aesthetics of it. 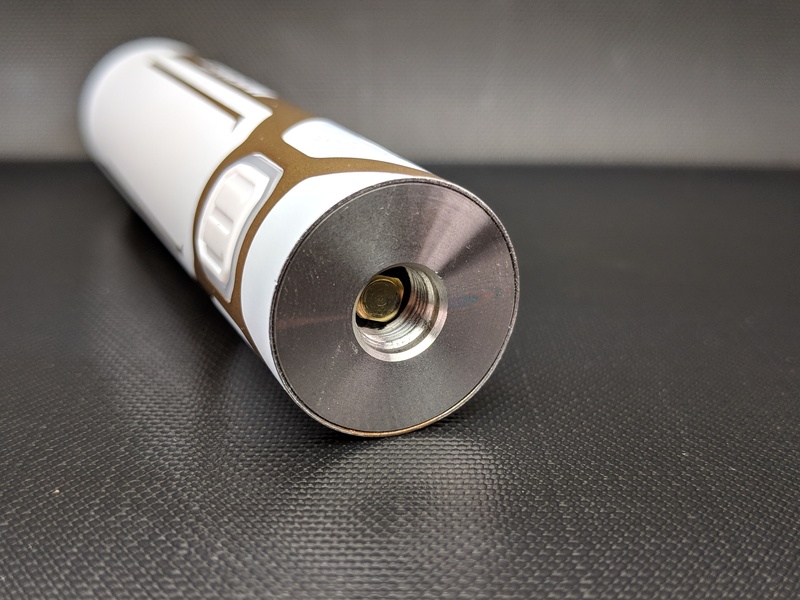 The Sinuous Solo boasts two working modes, bypass and constant power mode but it doesn’t implement it like I’ve seen on other mods. Usually you power the device off and hold the fire button until the light changes colour but that doesn’t work on the Sinuous Solo. 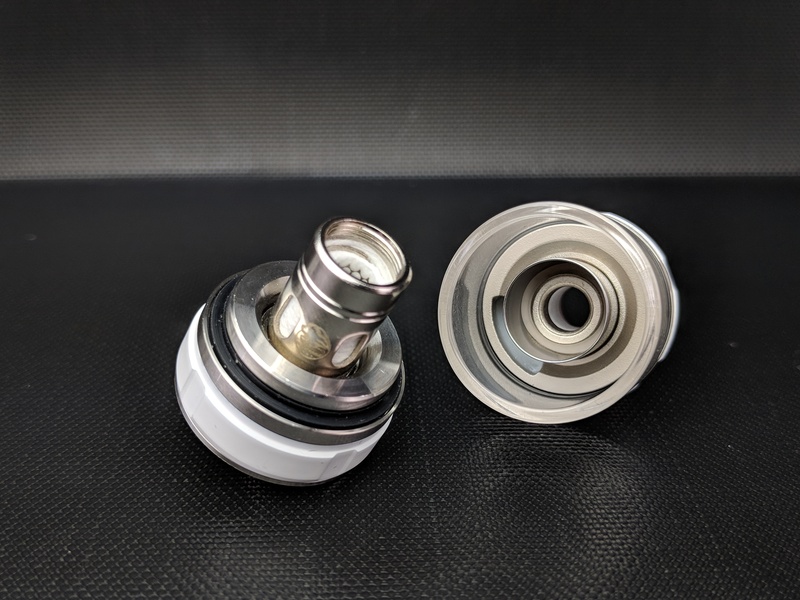 Instead it auto switches between the two modes based on the resistance of the attached atomizer. If the resistance range is between 0.1 and 0.79ohm it will fire in Bypass mode and the light will turn green to indicate it. 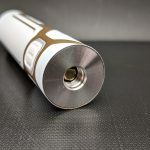 Bypass mode means it’s firing directly from the battery so whatever power it has left is sent directly to your atomizer, it’s basically the equivalent of a mech mod but with the added benefit of some protections built in. 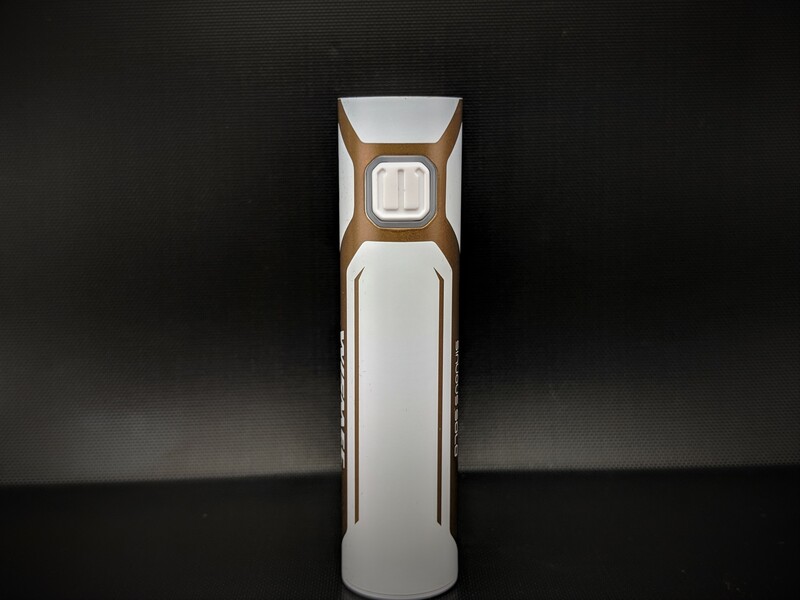 When the range is between 0.8 and 3ohm the light will turn white and it will fire in constant mode. 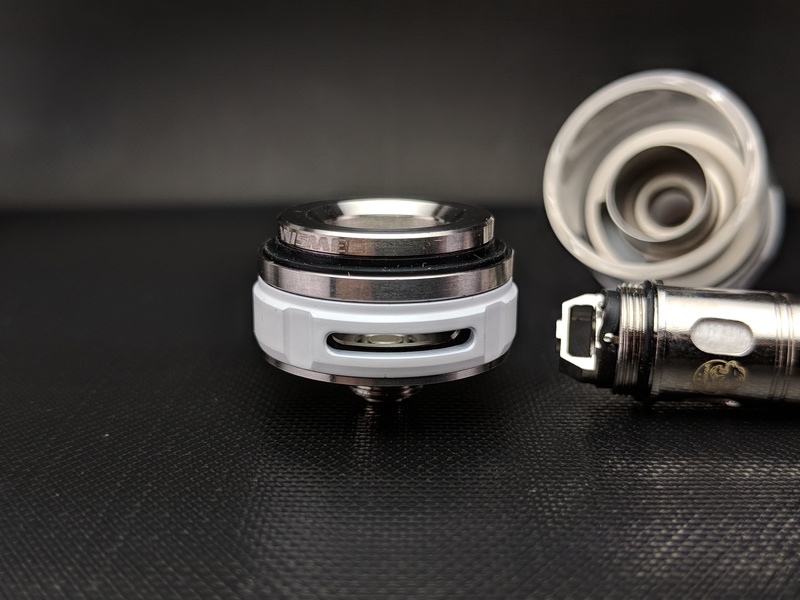 So basically with the included 0.27ohm mesh coil it will use Bypass mode and with the 1.3ohm MTL coil it will fire in constant mode. It wasn’t immediately obvious how to switch between modes and I only realized the difference after swapping the coils and noticed the colour of the light changed. I think it’s pretty handy to auto switch between the two modes but at the same time I kind of miss the ability to decide on my own which to use. However the way they implemented it kind of makes sense and should help take some of the complexity out of it for first time users. Aside from the two modes it also claims a 40w max output which based upon my basic tests feels fairly accurate at least in bypass mode. Using the device is incredibly simple, just turn it on with five clicks and press the button to fire it. 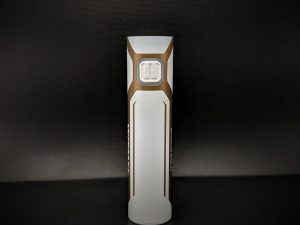 There is no screen or output of any sort aside from the light up band around the button which really only flashes in one colour at a time to indicate remaining battery life after a pull. If it stays lit it’s pretty much full but if it flashes it indicates the battery is declining. Slow flashes indicate it’s still relatively full but the faster it flashes the closer it is to empty. 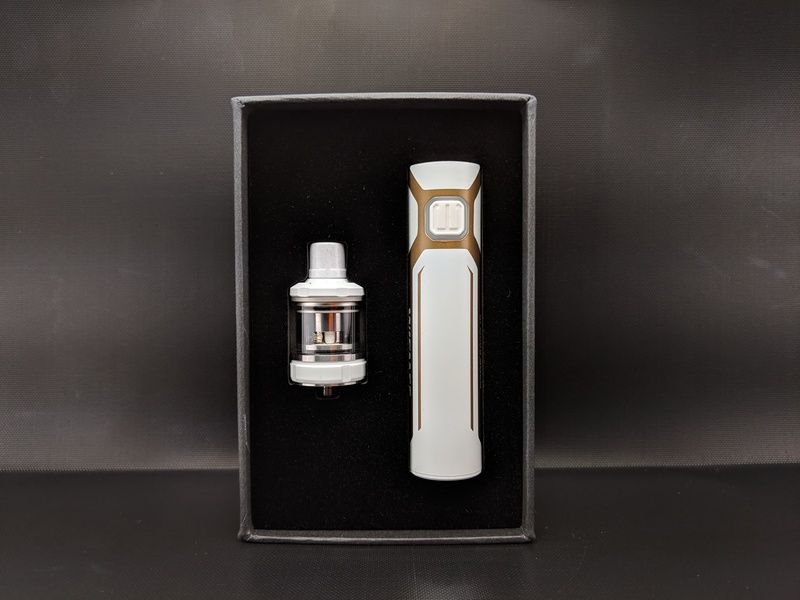 The tank that comes with the kit is the Amor NS Pro which is the same tank that shipped with the CB-80 and nearly identical to the Amor NS Plus that shipped with the Active. It’s a diminutive little tank that stands at 46.2mm tall with a 22mm diameter. 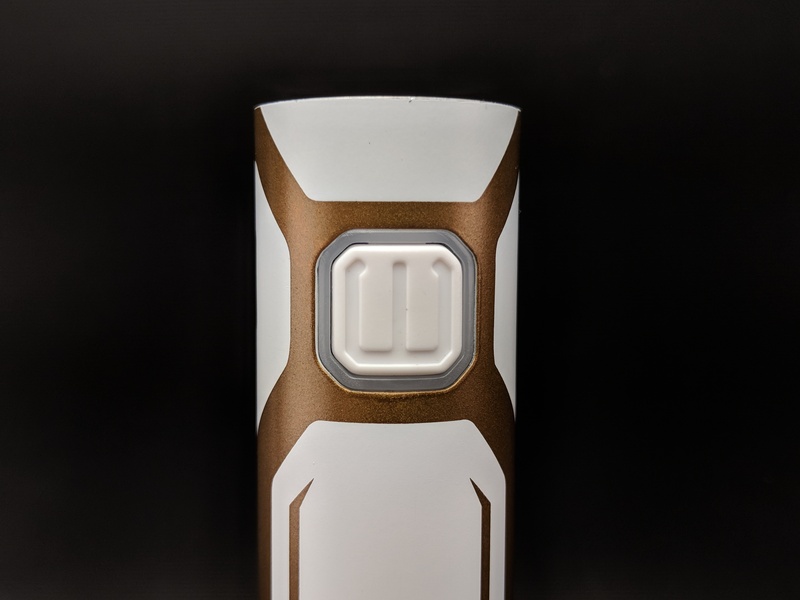 It holds just 2ml of liquid and has a slide to open top fill port. I believe it’s mostly made of stainless steel and weighs only 38.6g. 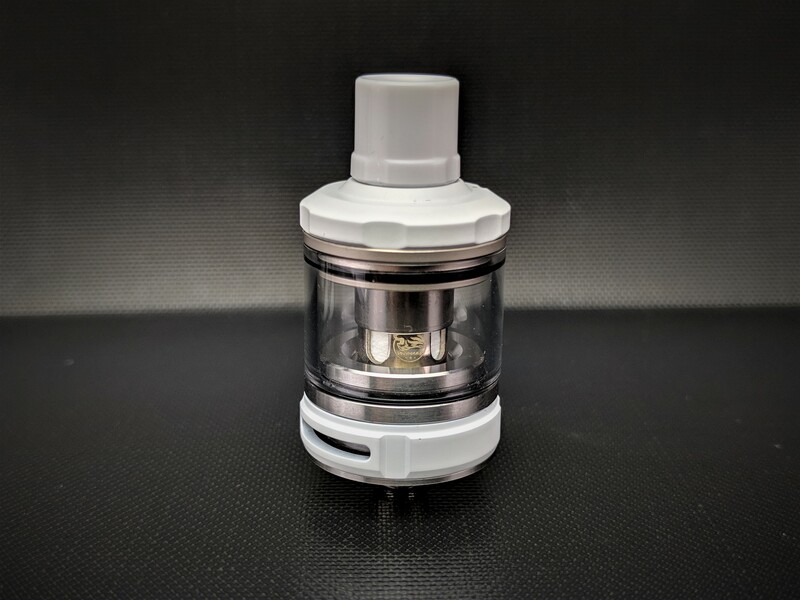 The kit comes with a spare glass tank in case you accidentally break the included one. 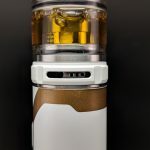 At the top it comes with a 510 drip tip that matches the colour of the tank. It’s pretty standard and not super wide bore or anything like that but it pairs up nicely with the tank. Mine was white to match the colour of the kit I received. 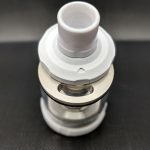 Just below the drip tip is the slide to open top fill. It’s got a little arrow to indicate where to push it open and the kidney shaped fill hole is a decent size and should accommodate most tips with ease, maybe not the old blunt style tips but they aren’t so common these days. 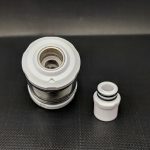 You can take the tank apart for cleaning or replacing the coils and you can swap coils without completely emptying the tank which is always handy. 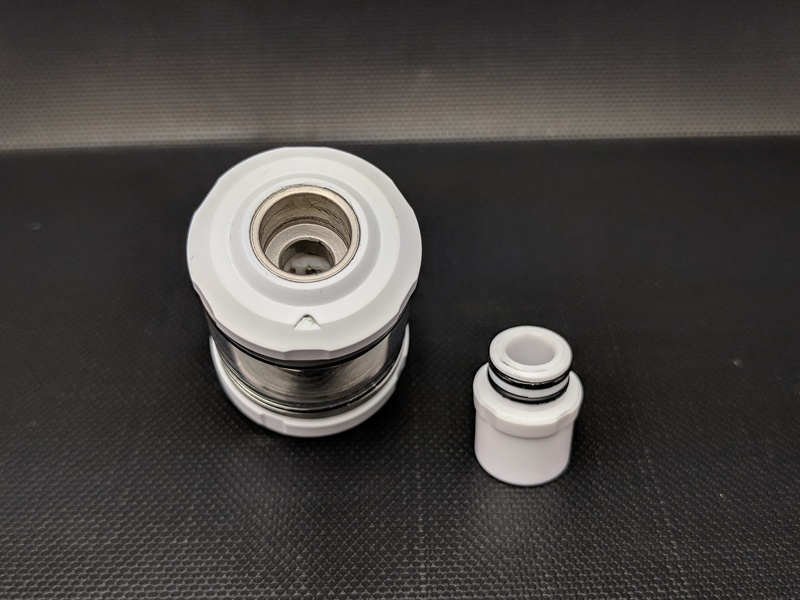 To change coils you just unscrew the upper portion of the tank and unscrew the coil from the base, replace it with a new one and you’re all set. On the lower end of the tank is the adjustable airflow. It’s fed by two cyclops style slots one on each side and you can turn the airflow control ring to adjust it. 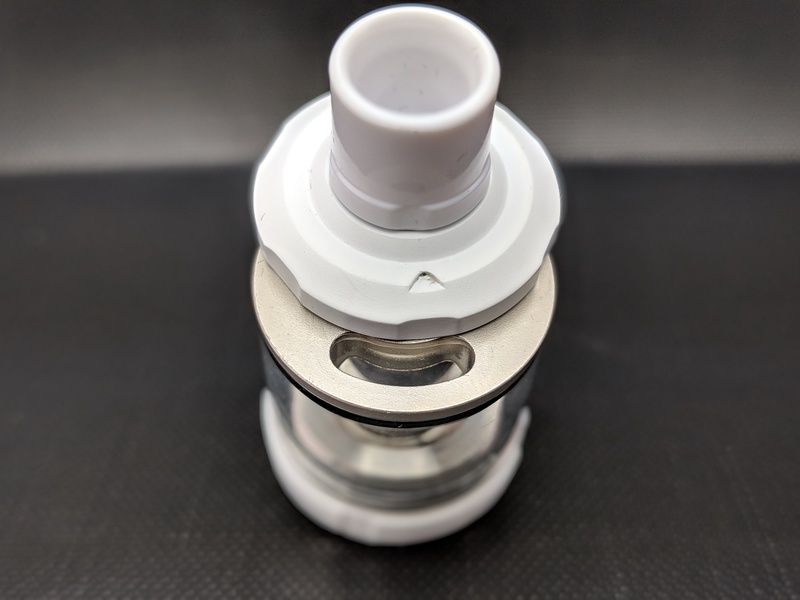 One handy little addition here is not only do you get two cyclops style slots for direct lung vaping but you also have three little holes to the right of the cyclops slots so you can really adjust it down to a nice tight mouth to lung draw. 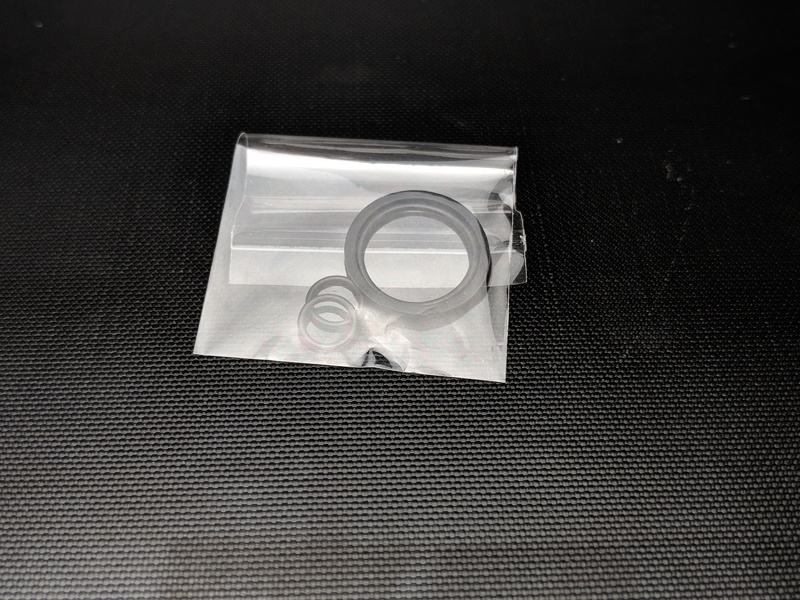 The AFC ring is also lined with rubber so it creates a really tight seal so a MTL hit is truly a MTL hit. 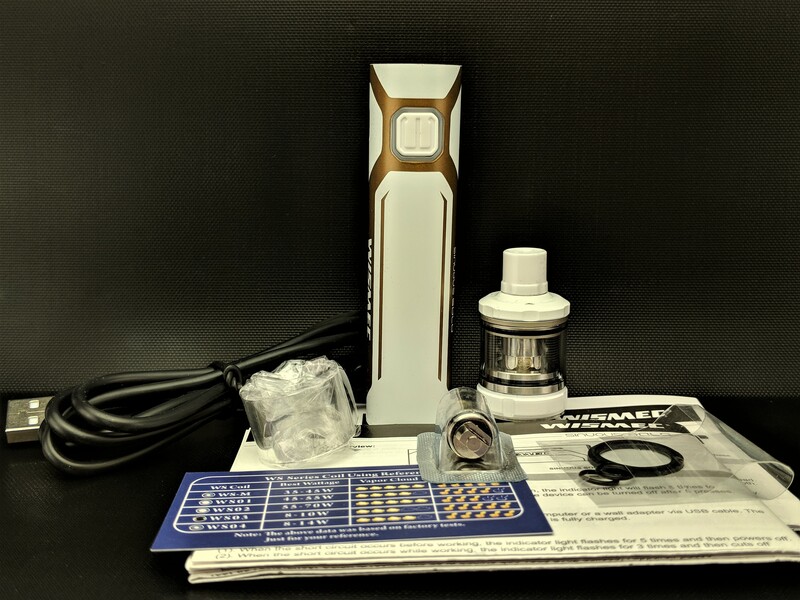 The kit comes with two coils, one is a WS-M 0.27ohm mesh coil which is made for direct lung vaping. 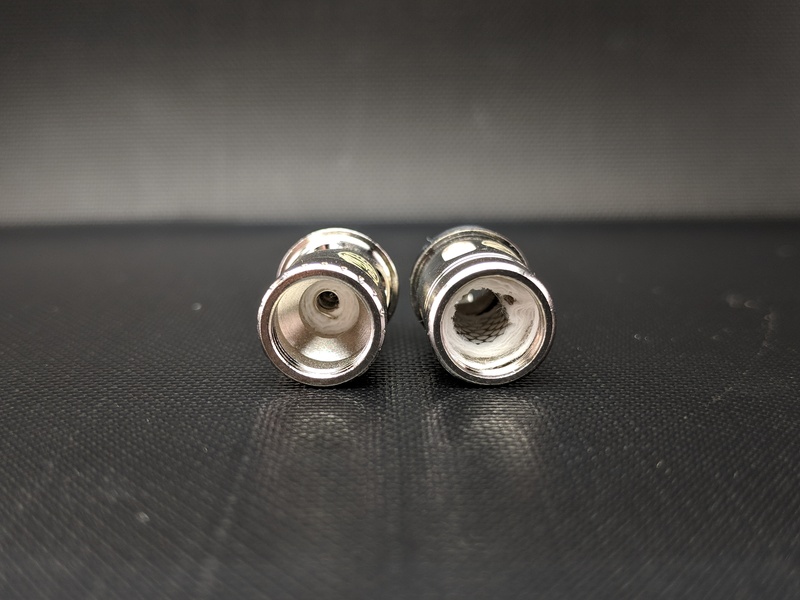 The other is a WS04 1.3ohm coil which is made for MTL vaping. 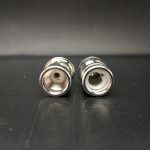 I started with the 0.27 WS-M Mesh coil which is rated from 30-60w and is best suited to direct lung vaping. I also tried the tank on a regulated device to see how it performed and found the sweet spot for the included mesh coils to be right around 40w however since the device only fires in bypass mode when using the Mesh coil your experience will slowly deplete as the battery does. I was still able to get almost a full day of vaping from it but with the 2ml tank it required a lot of top ups. 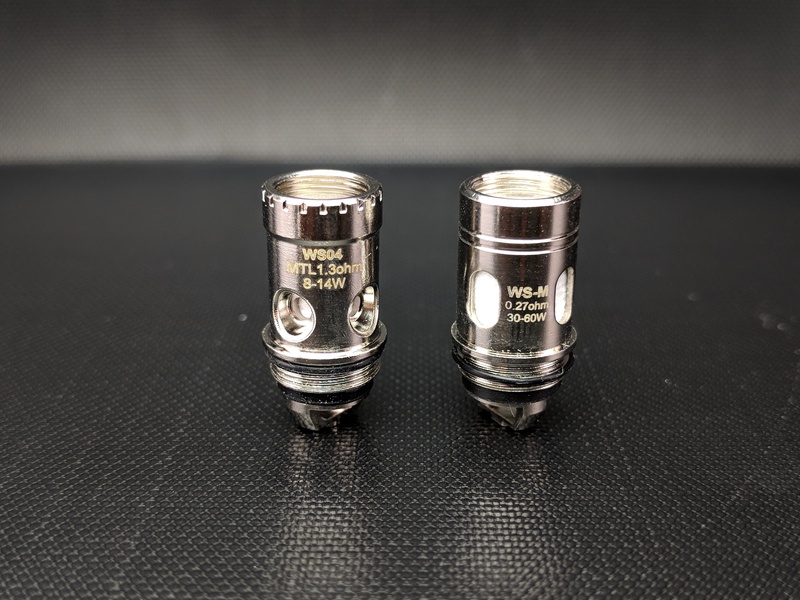 The other WS04 1.3ohm coil is made for MTL vaping and when using it the device switches to constant output mode so the wattage is regulated. 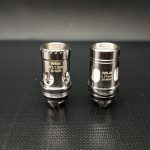 It doesn’t actually specify the regulated output but it works well with the MTL coils rated 8-14w. 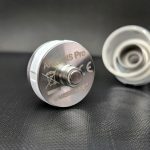 I found with both coils I got really good flavour, with the mesh in particular it was fantastic but I found both to be very satisfying whether in direct lung or mouth to lung mode. 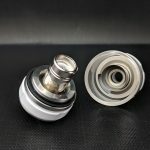 Coil life will always vary depending on juices used, personal vaping habits and QC on the coils but I switched from the mesh coil to the MTL coil after approximately two weeks and only to test the other coil out. I could have kept using it so they should last a relatively long while. I’ve really been enjoying the Sinuous Solo since it arrived. In particular I’ve been enjoying it with the mesh coil that the kit includes. 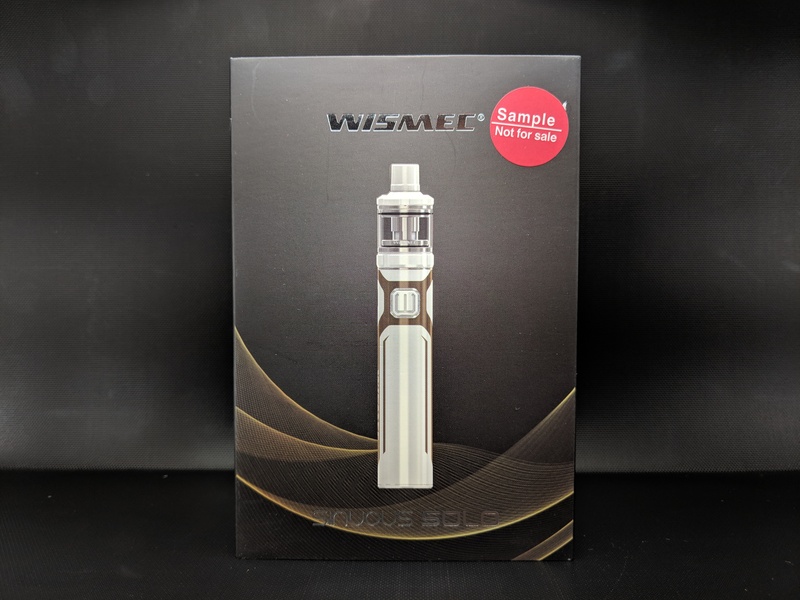 Being that it comes with both a direct lung and a mouth to lung coil I think this kit would be ideal for someone just starting out who wasn’t sure exactly the kind of vape they were after. 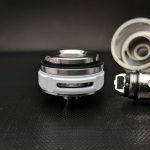 The automated switch between modes would make it even easier for a beginner to jump in and start vaping without needing a crash course on the differences between direct lung, mouth to lung, regulated, unregulated etc. However as a seasoned vaper I still really enjoyed the convenience and functionality of this kit, not only that but the vape from it has been fantastic. So really I think almost anyone could appreciate this well thought out and well put together yet still simple little kit. Great job on this one Wismec I’ve really been enjoying it! !